"Immerse yourself in the Betsoft 2018 title set in a sugary dreamland and win up to 28,305 while collecting all sorts of candies." 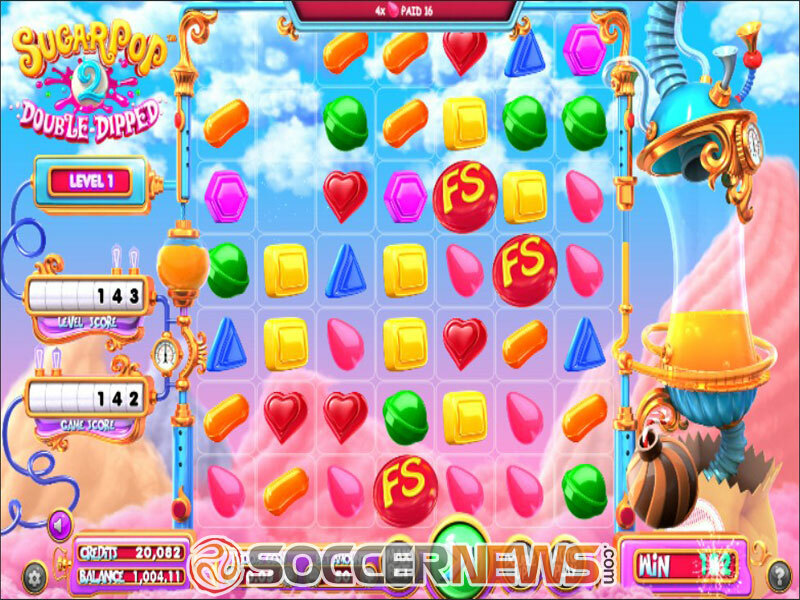 Back in 2013, Betsoft released an innovative title called Sugar Pop and now we can enjoy its sequel for even more entertaining gaming experience. 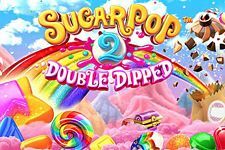 Just like the original title, Sugar Pop 2 Double Dipped takes you to a sugary dreamland where you will collect juicy candies to land payouts. Boasting 3D graphics and smooth animations accompanied with a soothing music score, the game uses a 7x7 layout and the Cluster Pays mechanics. The play field is set against the blue sky with fluffy pink clouds looking like sugar wool. If you have a sweet tooth, Sugar Pop 2 will make your mouth water undoubtedly with all sorts of candies making an appearance on the reels. The top paying symbol is depicted as the heart-shaped candy while blue, green and yellow candies pay mid-value prizes. 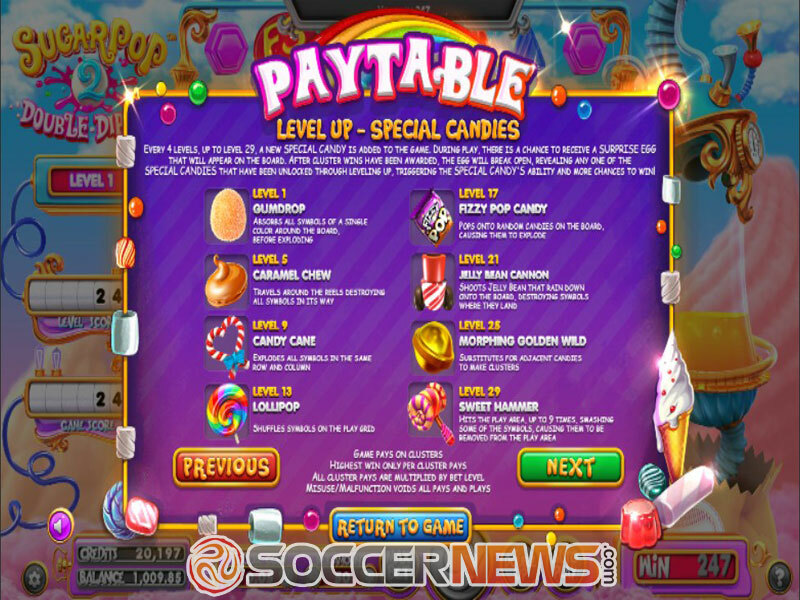 Orange, purple and pink candies sit in the lower ends of the paytable. On the both sides of the reels you will see meters that determine the level you will play at. 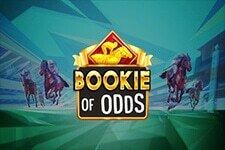 With each level unlocked, the game will benefit from more and more lucrative bonus features along with the cascading reels that will make all the symbols included in a winning combination explode to leave place for new symbols to fall in. 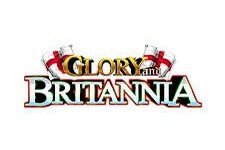 Stay with us to learn how to play the game and make the most of its rewarding bonus features. 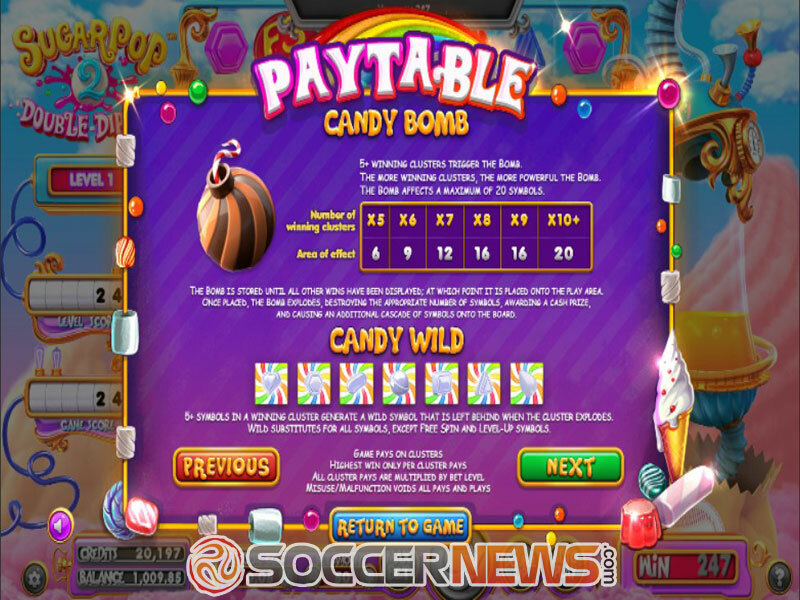 The bet in the Sugar Pop 2 is configured at 50 coins and you can wager up to 250 coins per spin. A coin size varies between $0.01 and $1, so your total bet can be anywhere from $0.50 and $250. 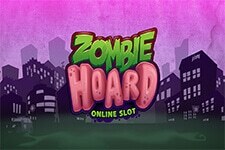 The game features a standard Betsoft control panel with the Spin, Max Bet, Autoplay and Double Up buttons included. To win a prize you have to create a cluster of 4 and more symbols. 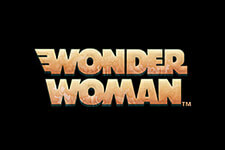 Wild is created when you create a cluster of 5 or more matching symbols and it will substitute for all the symbols except for Free Spins Scatters and Level-up symbols. Free games are triggered by forming a cluster of 4 and more Scatters. The number of free games awarded starts at 5 when the feature is triggered by 4 Scatters and it increases by 2 for ever additional Scatter included. Create a cluster of 5 or more symbols and you will trigger the Candy Bomb feature that can explode to destroy up to 20 symbols on the grid. While playing the game you can climb up 29 levels. Just land wins and collect Star symbols in the Level Up Trail to get special candy symbols come into play to boost your winning chances. 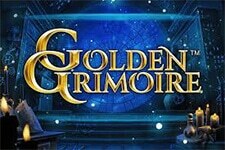 They will pop up from the Surprise Egg to destroy or shuffle symbols or even act as Wilds. Look out for giant chocolate surprise eggs to trigger more rewarding bonus features. "If you liked the original game played at a 5x5 layout, you will love its sequel offering multiple bonus features and opportunities to win. 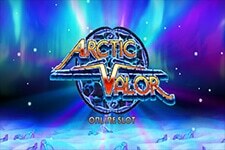 The top-notch graphics in bright colours combined with an engaging yet relaxing soundtrack will keep you entertained for a long time while each win that you hit will make you closer to more and more lucrative bonuses."